Whether you're in need of routine service for your Jeep Cherokee or engine repairs on your Jeep Compass to straighten out damage from some of life's bumps in the road, bring your Jeep SUV in for service at Rockie Williams' Premier Dodge Chrysler Jeep Ram. As your local Jeep mechanics near Nashville, Tennessee, we are committed to providing you with excellent customer service and lightning-fast Jeep repairs. We keep a fantastic selection of Mopar parts and accessories on hand, designed for your specific Jeep SUV. Plus, with our Mopar Express Lane service, you can get routine maintenance done on your Jeep SUV with no appointments when you bring it into our Nashville, TN area Jeep dealership. Take advantage of our Monday through Saturday service hours and schedule an appointment. 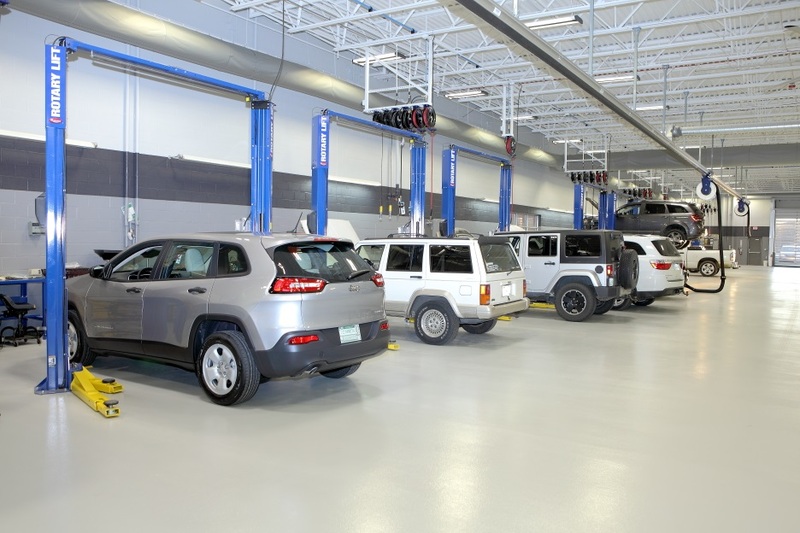 Service your Jeep vehicle at your trusted Nashville, TN Jeep dealership. It's easier than ever to get repairs done on your Jeep SUV when you come in for Jeep service near Nashville, TN at Rockie Williams' Premier Dodge Chrysler Jeep Ram. Our Jeep mechanics can help you with routine maintenance, such as brake checks, oil changes, front-end alignment, tire rotation, and fluid flushes. Talk to our Jeep mechanics about customizing your Jeep SUV or upgrading the suspension and transmission. We offer drop-off and shuttle service for your convenience, along with free Wi-Fi in our Jeep auto shop while you wait. Our comfortable waiting area has plenty of entertainment sources, from our children's playroom to our 3,000-gallon aquarium. Make an appointment, and the team at Rockie Williams' Premier Dodge Chrysler Jeep Ram will get you back on the road in a flash. Give Rockie Williams' Premier Dodge Chrysler Jeep Ram a call to schedule your next Jeep service appointment near Nashville, TN. Or, use our online scheduler to request a service appointment. And remember, with our Mopar Express Lane service, there's no appointment needed. Come see us today!